The Philip A. Mackowiak Award for Medical Student Excellence is given to recognize and honor a medical student member of the Maryland Chapter who has made outstanding contributions in promoting interest among other students in pursuing careers in internal medicine, scholarship and academic excellence among his or her peers, and advocacy for patients and their health care needs. This student should embody the values and qualities of Dr. Phil Mackowiak, who is a passionate and tireless advocate for medical student education, and a widely recognized role model, advisor, and mentor for medical students. Finally, the student should have contributed meaningfully to the activities and efforts of the Maryland ACP Chapter that are directed at addressing the needs and interests of the Chapter's medical students. 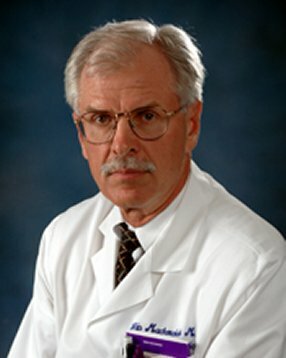 Dr. Philip Mackowiak is professor and vice chairman of the Department of Medicine of the University of Maryland School of Medicine and Chief of the Medical Care Clinical Center of the VA Maryland Health Care System. He is a graduate of Bucknell University (B.S. in Biology), the University of Maryland (M.D.) and the Johns Hopkins University (M.B.A.), who began his career in academic medicine as an Epidemic Intelligence Officer with the Centers for Disease Control in the early 70's. In 1975, he joined the faculty of the University of Texas Southwestern Medical School in Dallas, where he rose to the rank of Professor of Medicine before joining the faculty of the University of Maryland School of Medicine in 1988. He has published over 150 peer-reviewed articles, editorials and book chapters on a variety of medical topics and is perhaps best known in the medical community for his work on the diagnosis, prognosis and treatment of fever. His book, "Fever. Basic Mechanisms and Management", now in its second edition, is the first comprehensive monograph on the subject since one published by Wunderlich in 1868. Medical history is Dr. Mackowiak's other passion and area of growing expertise. For almost a decade, he has hosted an internationally acclaimed series of Historical Clinicopathological Conferences in Baltimore. These have given rise to ten peer-reviewed articles and two books, one entitled "Post Mortem. Solving History's Great medical Mysteries", which is to be published in late 2006 by ACP Books and the other, "Imperial Furies. Impact of the Julio-Claudians and Their Illnesses on Roman History," which is currently in search of a publisher.